One of Sweet Baby’s first safe foods with her FPIES was Bananas. 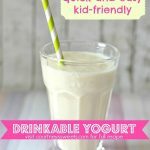 Just recently we’ve been adding more and more to her SAFE food list! One of her favorites has been Enjoy Life Semi-Sweet Chocolate Chips they’re Gluten, Dairy, Nut & Soy Free! 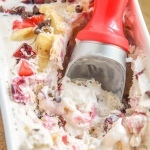 Since we received the Nostalgia Electrics Fro-Frutti Frozen Fruit Dessert Maker we’ve been making lots of “ice cream” with frozen fruits. 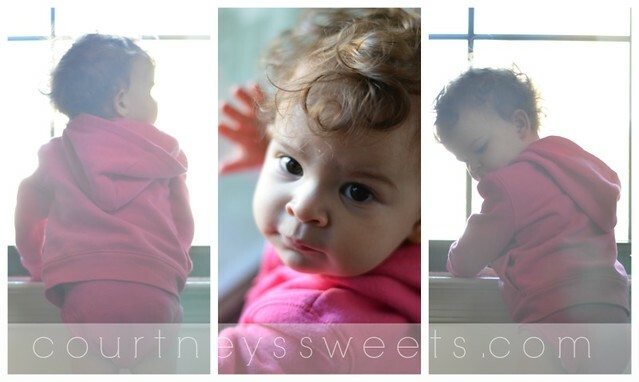 I think the Fro-Frutti review has been the tastiest review Sweet Baby has every done! I can literally freeze any fruit and turn it into a frozen treat for her. Many of her safe foods are berries and they come out pretty well too! Put the frozen bananas into the fro frutti's tube - with the plunger push the bananas down and enjoy the fruits of your labor! 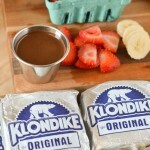 Yum, this looks delicious! I was actually thinking about buying one of those bananas things but this is less expensive! 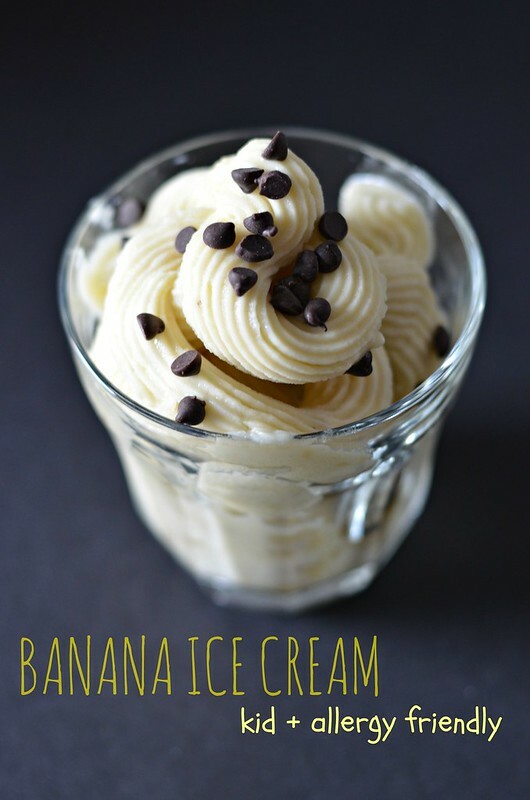 We make banana ice cream using our blender, but my hubby would love this! That’s a really easy process to make her fun little treats. I wouldn’t mind that ice cream myself! It looks so easy to use, I love that! And Sweet Baby is just adorable, as always. Now, that sounds amazing! 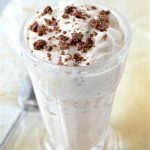 This is a simple, yet VEGAN recipe that I can easily enjoy since I’m lactose intolerant. Thanks for the review, I was really curious about this as I think it could be a good investment!! 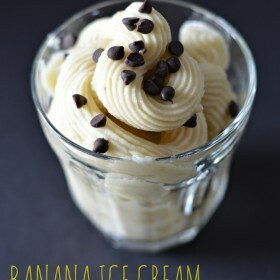 YUM your banana ice cream looks tasty! 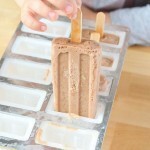 What a great recipe and cute ice cream maker! That is so handy to have with diet restrictions. I have never heard of this brand. I’ve only heard of yonanas. 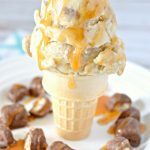 I’ve made frozen banana ice cream before with a food processor, but I’d love something that would make it easy. Oh I really really want this, how fabulous! I would use this every single day! This looks so good! My kid love bananas so they would be all over this. 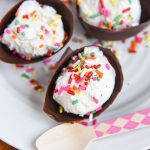 This dessert maker sounds so easy! When I make ice cream at home, I have to lug out the big ol’ freezer so everyone can have enough. This would be much nicer to deal with! That sounds super yummy, and what a cute little gadget! I am glad it’s been working out for you guys &allowing her some variety. That’s awesome! My kids would love to help use this. 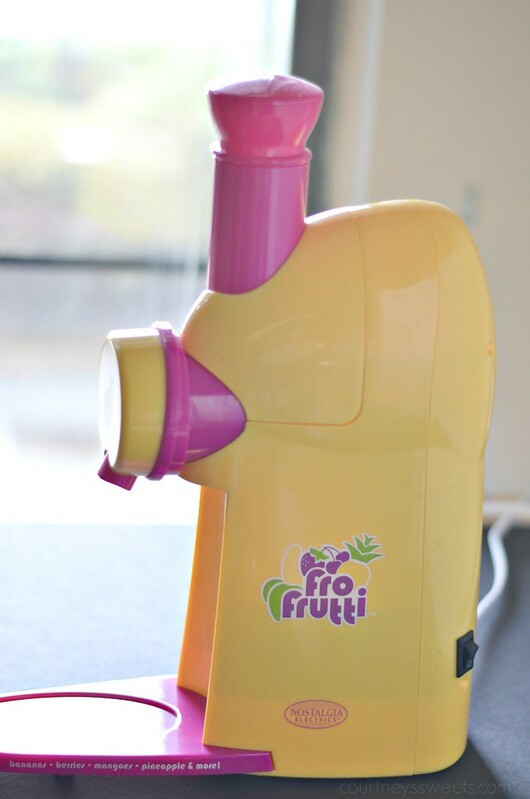 I think I am going to ask Santa for the Fro Fruitti for Christmas! It looks just like ice cream!! 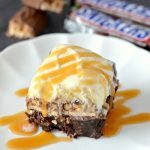 That looks super, super yummy! I need a Fro-Frutti immediately! A friend introduced our son to ice cream and now he doesn’t stop asking for it whenever we pass the shop. Having a healthy frozen treat to give him instead would be amazing! that’s really cool. would like to try that.